Do you want to make money from youtube? Do you love to making a video and finding the way how to make money from youtube? If yes, then read the post and you will get your answers. Making money on youtube by uploading videos on your youtube channel is the easiest way. I think you have already heard this story making money from youtube. Nowadays many people earn huge money from youtube just sharing their talent on youtube. How Youtube Pay You Money? Youtube is a platform where advertiser advertises their products via google Adword. Adwords is a google product by which google earn money and share their revenue to the publisher. I will explain later about Google Adwords. When you create a channel and monetized video, then youtube show ads on your video. Google show two types of ads on your video. It depends on which type of ads showing on your video. How much money spend the advertiser per impression. CPC stands for Cost Per Click. When Advertiser spends money click based then it’s called CPC. For Example – Whenever a person sees your video, then if the person does not click on Ads. But you will not get paid, because the advertiser pay just for the click. CPV stands for Cost Per view. When advertiser spends money impression base then it’s called CPV. For Example – Whenever a person sees your video, then ads show on your video. In this case, you will get paid, because the advertiser pays impression base. Here I guide you to detail step about this topic. Before I move ahead, first I want to brief intro about youtube. Youtube is the most popular video sharing channel maintain by Google. Youtube founded on 2005 by founder Steve Chen, Chad Hurley, Jawed Karim. 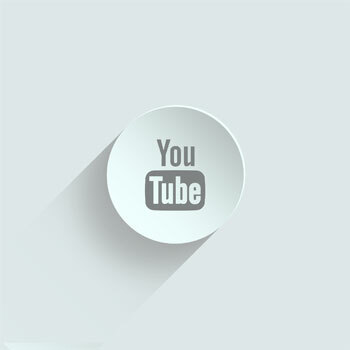 After 2006 to now Youtube maintained by Google Inc.
Google account to create youtube channel. Approve Adsense account to monetize your video. If you want to make a computer education based tutorial, you can use a screen recorder software CAMTASIA STUDIO by TechSmith. Make sure you are signed in to google account. Here You see the window like below image. Here enter the name of your channel. After Click creates a channel. Finally, your channel is ready. 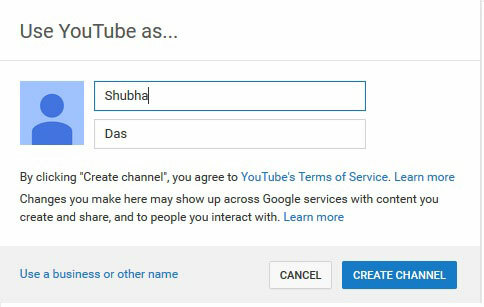 If you want to create your channel with a business or other name, then click “Use a business or other name” (See above image). After, clicking you see a window like below image. Here Just enter the name of your channel and select channel category(select the category your niche). Tick the agree to the page term and finally click on done button. Now your channel is ready. 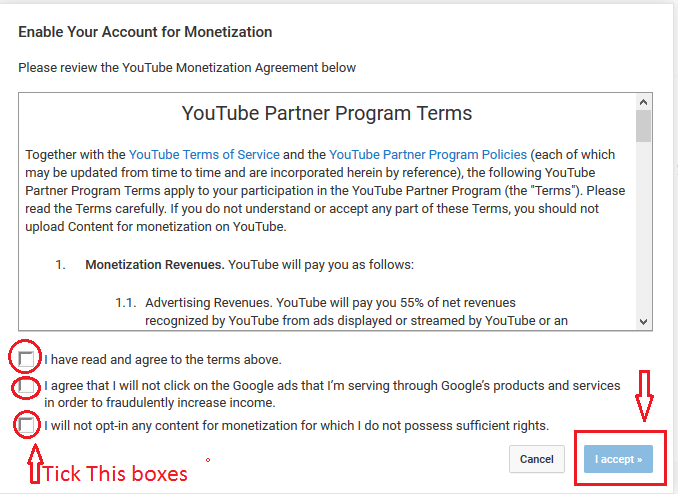 After creating your channel, the next step is associate your channel with Google Adsense for making money on Youtube. To associate your channel with Google Adsense Click Here. You see above image, just follow above image. 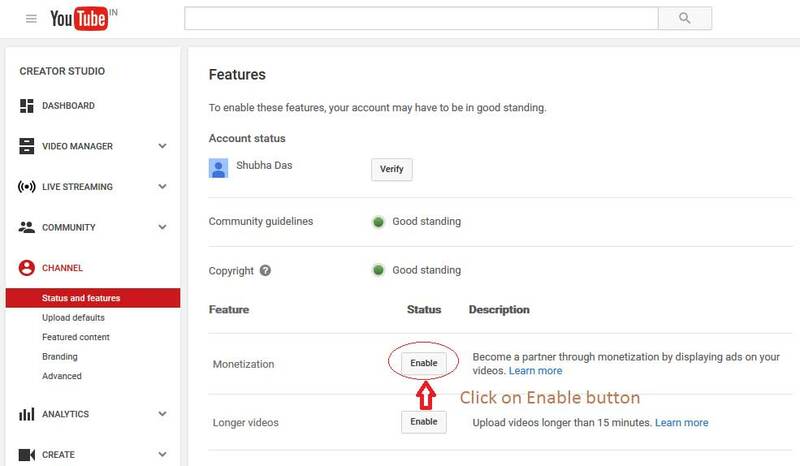 After Completing all step, then you need to upload a video on youtube. Upload video schedule basis to hold an audience. I think this post help you to Make Money On Youtube by uploading videos. If you find any mistake or if you think I forget to add any useful information, then feel free to ask me or comment. I am working on a new site. If you want to save few buck then chek out our blog. You will get Patanjali Products, Freecharge Promo Code, Mobikwik Promo Code. Shubha Das is a Passionate blogger & Digital Marketer from India. He is the founder of ITDS HUB blog where people learn the ultimate guide of blogging. 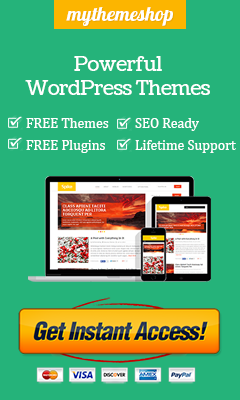 At ITDS HUB, he also writes about How-to guides, SEO, WordPress Guide, Make Money Online. There are indeed a lot of ways to make money online – youtubing is a great way however some people would just love to make money easily. Instead of going to the hassles of making videos, others will just copy videos and upload it as their own. Instead going through the little hassles they may be into troubles of getting things into court. But Youtube didn’t allow Copyright Content.